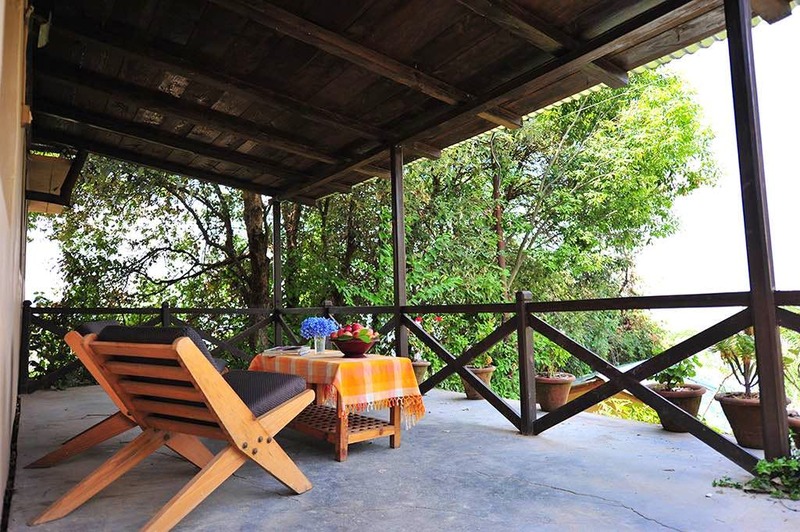 The ‘Mountain Retreat’, near Mukteshwar is what happens when you make a plush home for yourself in the hills and then add more cottages for your best friends. On a clear day, it has a gorgeous view of the Himalayas. You can even see Trishul and the Nanda Devi peaks from here. This place has the amenities of a small resort with the comfort of a home. The food is amongst the most delicious that we have had in the hills. For large groups, there are two very cool lounges. Almost every day you can go on a different trek which ranges from the easy to the challenging. The ancient Shiva temple at Mukteshwar is a must visit. It could have a larger dining area.